It’s starting to feel like every new week brings with it a new milestone for the forthcoming Black Panther film, and today, we’ve got that weekly update once again. Fandango announced Wednesday that Black Panther is now outpacing all other superhero movies in pre-sale numbers, topping the previously top-ranked Batman v Superman. The film’s premiere is still more than two weeks away, but topped Fandango’s daily ticket sales chart yesterday and remains in the number-one spot today. The site also conducted a survey of over 1,000 fans which showed an overwhelming amount of excitement for the film. 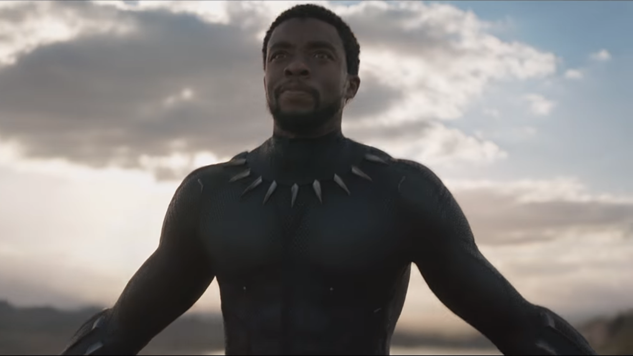 97 percent of those surveyed are looking forward to Black Panther being a different kind of superhero movie, 95 percent are looking forward to its positive message, 86 percent are excited to see the Dora Milaje, the all-female guards, and 84 percent can’t wait to see Michael B. Jordan’s performance. The film was already projected to have an opening weekend in excess of $110 million dollars, but as the hype continues to grow, it would be safe to say that we could have something much, much larger on our hands come President’s Day weekend. Black Panther hits theaters on Feb. 16. Watch the film’s most recent trailer here.